Celebrating Red Nation Celebration Institute 24th year … The Legacy Continues …. 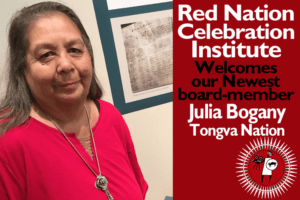 Red Nation Celebration Institute is Celebrating our 24th year, and we have a lot of exciting things on the horizon for 2019! As you may already know, raising funds for the arts is a daily experience with our non-profit organization. Did you know that all funders – both private and public – ONLY fund 3% of the arts? And less than 1% of that goes towards native arts and culture organizations? Our 2019 season campaign to help raise money for educational media literacy has began! This initiative encompasses art, film, music, dance and journalism. It has been proven that all art forms are good for the human condition. To express, inspire and create is what we do here. All funds raised from tickets sales, sponsors and generous donors go directly to support Red Nation Celebration Institute initiatives. Every donation makes a difference, whether it’s $1, $5, or $100,000. We’re thrilled to announce our 5th executive year GLOBAL EVENT! Red Nation Celebration Institute will be hosting a NATIVE FILM MARKET from November 1-14, 2019 during our 24th RNCI Red Nation International Film Festival at the Laemmle Music Hall Beverly Hills during the American Film Market. Get a chance to meet and mingle with fellow native filmmakers, distribution companies, studio execs and celebrities! This is an excellent opportunity to promote your film. Stay tuned for details as the event approaches. Sponsorships are still available. 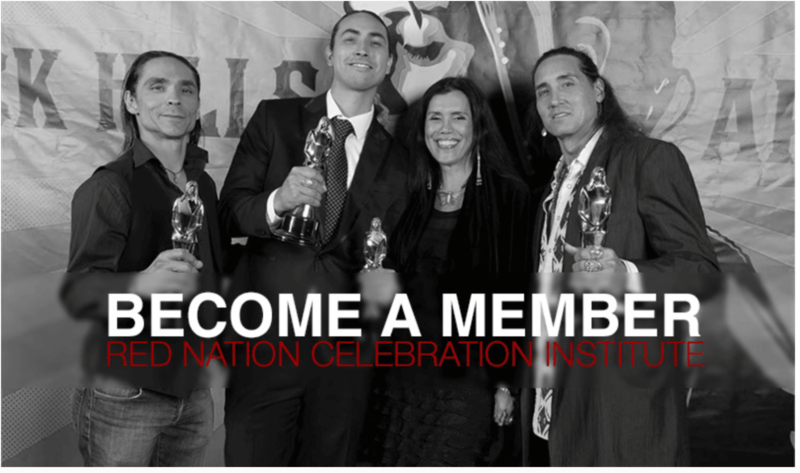 Join Red Nation Celebration Institute (RNCI) and become a MEMBER of longest standing American Indian & Indigenous Arts & Cultural organization in Los Angeles. RNCI is well known among the indigenous community & the Entertainment industry worldwide. RNCI began as a grassroots organization in 1995 and has since grown to include an international audience. We are extending an invitation to become a member as we celebrate two decades plus of protecting and preserving our image as well as our rights as indigenous people. RNCI includes human and environmental rights and social justice issues in our ongoing mission to elevate the American Indian image and status of our people in the 21st century in film, music, media and the arts. Gain access to hundreds of native TV shows, films, documentaries and original programming! Click here to access our streaming online TV channel to browse all our offerings and learn more about subscription options. 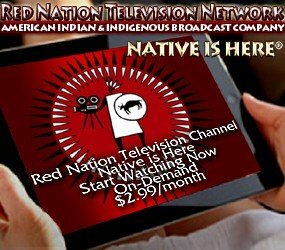 Watch RED Nation TV Original programming FREE for a limited time ONLY! 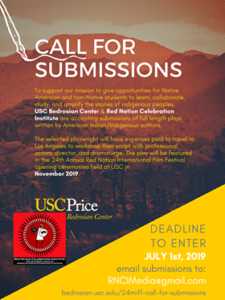 RNCI Red Nation International Film Festival Awards Show – streaming now through the end of August 2019. If you’re not already registered, you’ll need to register with RNTV (only takes 30 seconds) to access and you can do that here now! If you like what you see, we encourage you to donate to our broadcast initiative. Your donations directly support native cinematic arts and culture and make all our efforts possible. Interested in showcasing your brand on all our platforms? Our platforms reach over 10 million viewers in 37 countries! Click here for details or contact rednation@rednation.com. We want to send a deep thank you for their generous contributions in their support of Red Nation Celebration Institute’s groundbreaking initiatives, programs and projects. Click here to view a list of our 2018 sponsors. Follow us on Facebook: www.facebook.com/RedNationFF, Twitter: @RedNationTV and Instagram: @RNCImedia for details and announcements, and stay tuned for more updates from Red Nation!